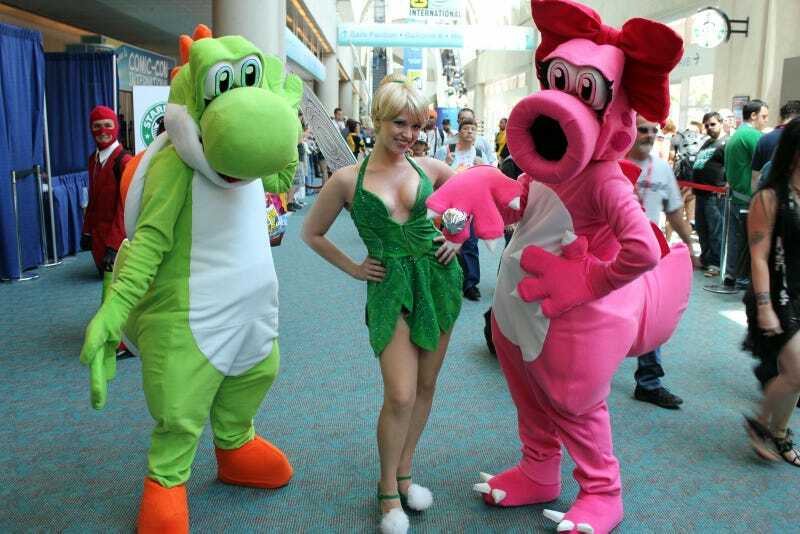 What could bring together Yoshi and Birdo, Tinkerbell and Team Fortress 2's Spy? Only Comic-Con, where hundreds, maybe thousands of costumed comic book, anime and video game characters roamed the halls of the Con. Many dressed up, only a few were photobombed by a TF2 character. Day two of Comic-Con cosplay saw some impressive get ups, including Darth Mario, Dark Link and one spot-on Jill Valentine from Resident Evil. Please, enjoy the hard work of these San Diego Comic-Con superfans in the cosplay gallery above.